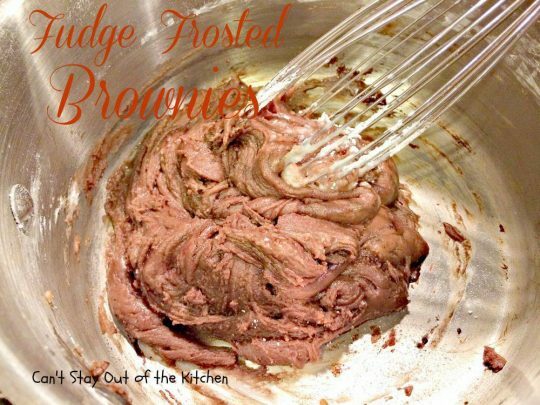 Fudge Frosted Brownies are incredibly scrumptious and one of our family’s favorite brownie recipes! The delicious brownie portion includes chopped walnuts and it’s topped with a chocolate fudge icing to die for! 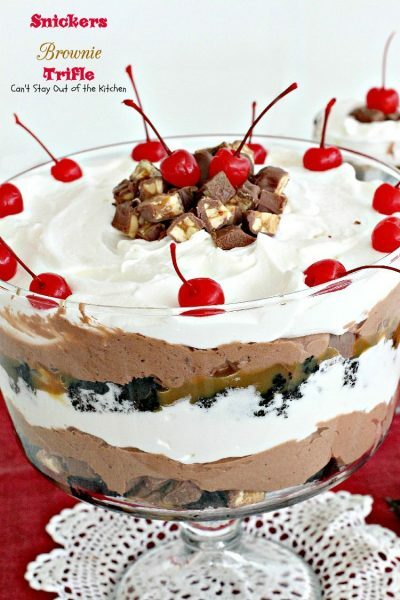 It’s so rich, decadent, and luscious. 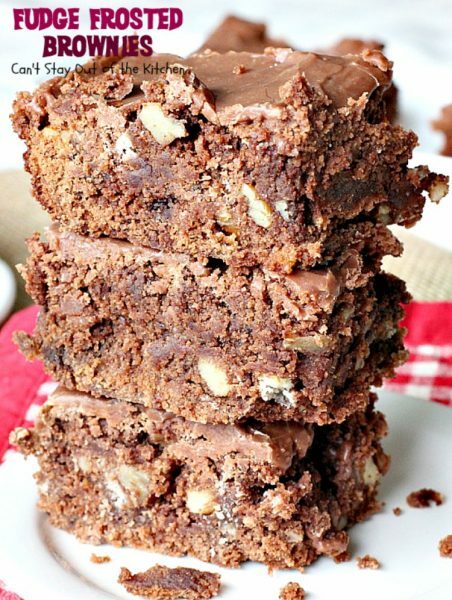 If you like fudge and you like brownies you will love the combination of the two in this superb brownie. It’s really not too difficult to make either, except that you don’t want to make the icing prematurely. 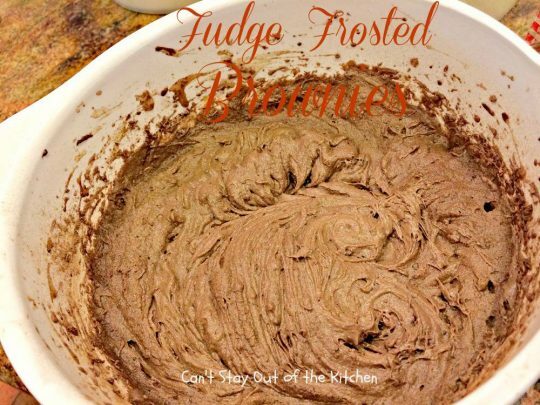 It has to be spread while hot and you have to be really fast at spreading it over the surface of the brownies, otherwise, the texture isn’t smooth and beads up a little. 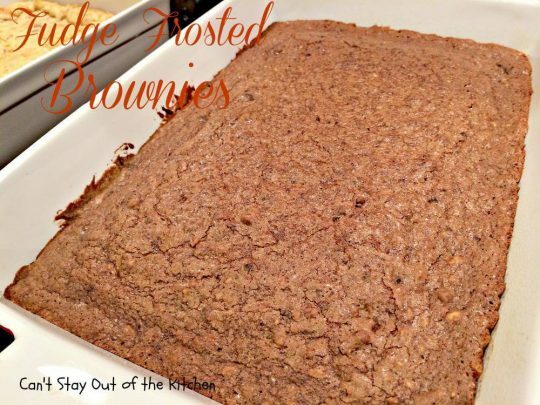 I received this recipe from a friend at church when we attended First Baptist Church of Indian Rocks in Largo, Florida, when our children were little. 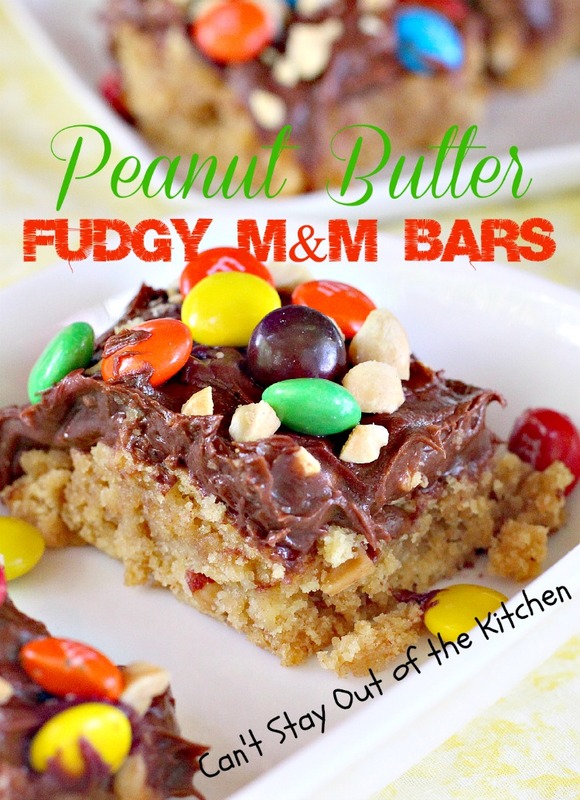 My friend, Cynthia, made these for a potluck once and I fell in love with them! This was her mom’s recipe so when she gave it to me some of the ingredients were not specific so I’ve had to fiddle with it a little to get it just right. I’ve always used cocoa instead of unsweetened chocolate because it was cheaper and easier for me when I first started baking. 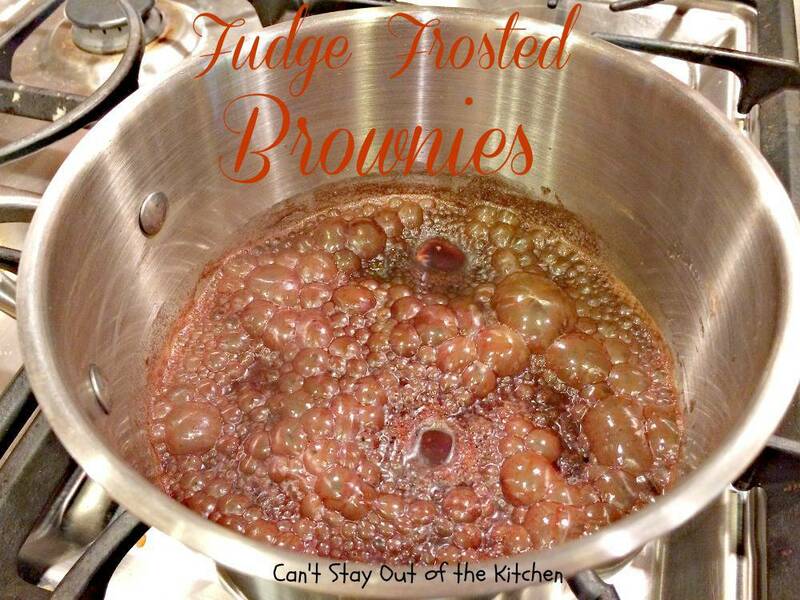 I had tried several different brownie recipes before this (including my mom’s) but none of them were exceptional. This one was different. It’s gooey and certainly a chocolate lover’s delight! I think I’ve always liked this one because it has so much sugar, I love baking with nuts, and it has a rich, chocolaty taste. 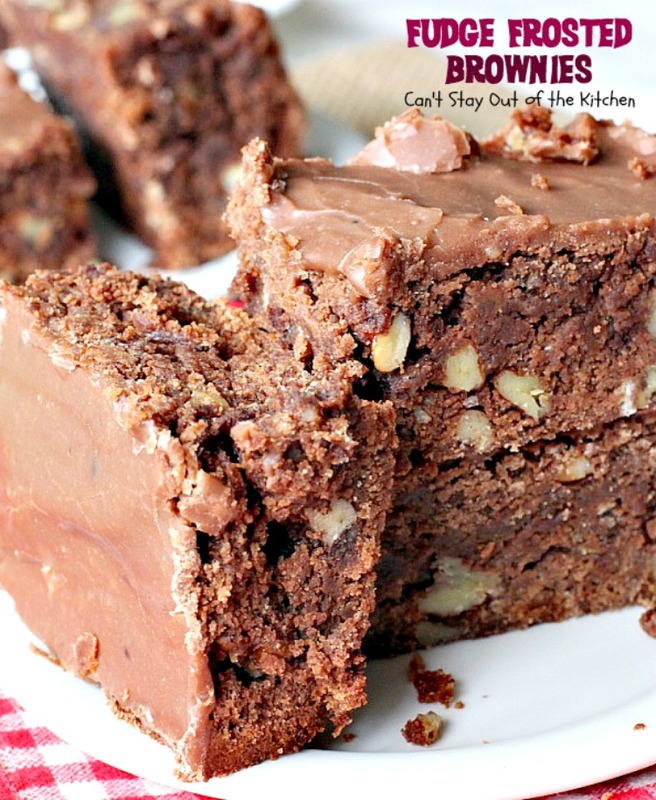 We’ve served these delicious brownies to a lot of guests over the years and they have certainly made our Christmas Cookie Extravaganza baking list many times. 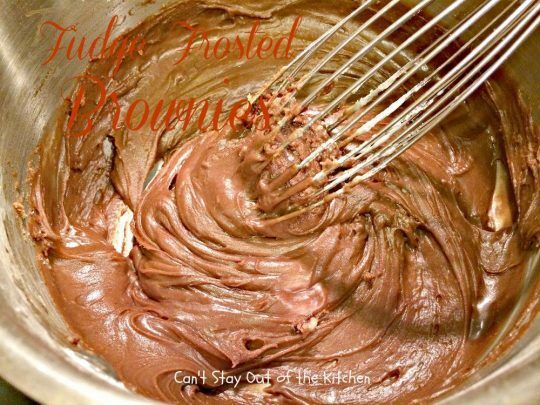 While these brownies do have a rich, fudge icing, these brownies are not as involved as some I’ve seen so I’ve always been able to whip them up fairly quickly. 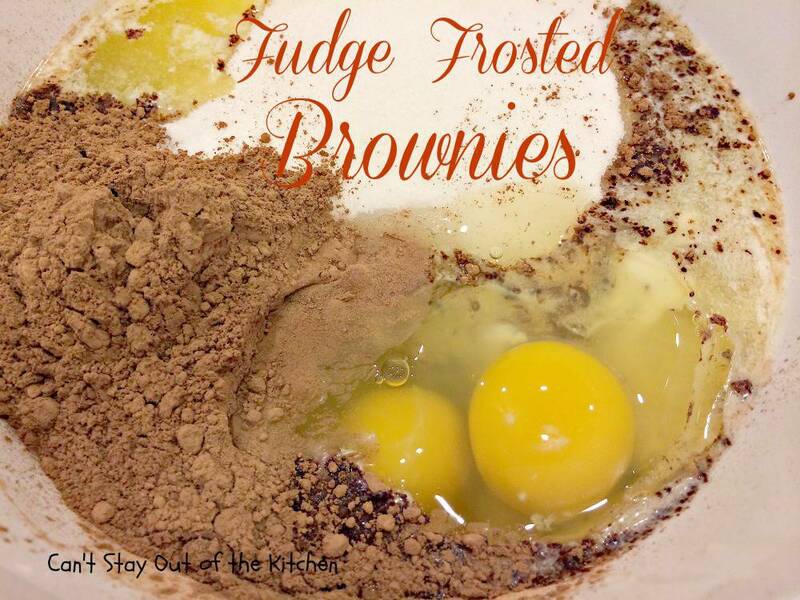 If you’re looking for a great chocolate treat to make for the holidays this year, I highly recommend Cynthia’s Brownies to you. These Fudge Frosted Brownies are the real deal! I originally posted this recipe in November 2013, but since I recently remade the brownies (December 2015), and promptly wolfed all of them down myself (well almost all of them! ), I thought I would update the pictures a little. 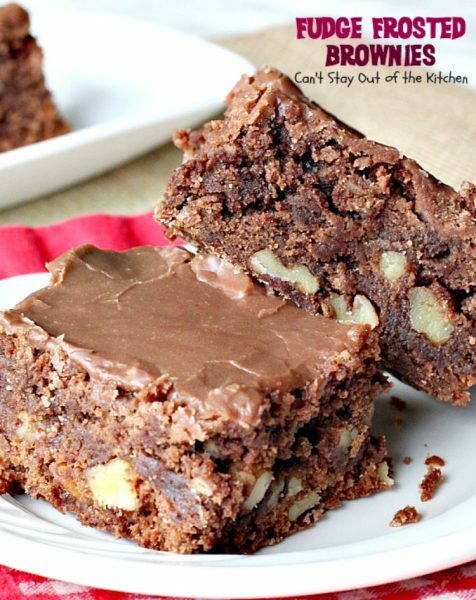 I used pecans in the brownies this time, but almost any kind of nuts will work. 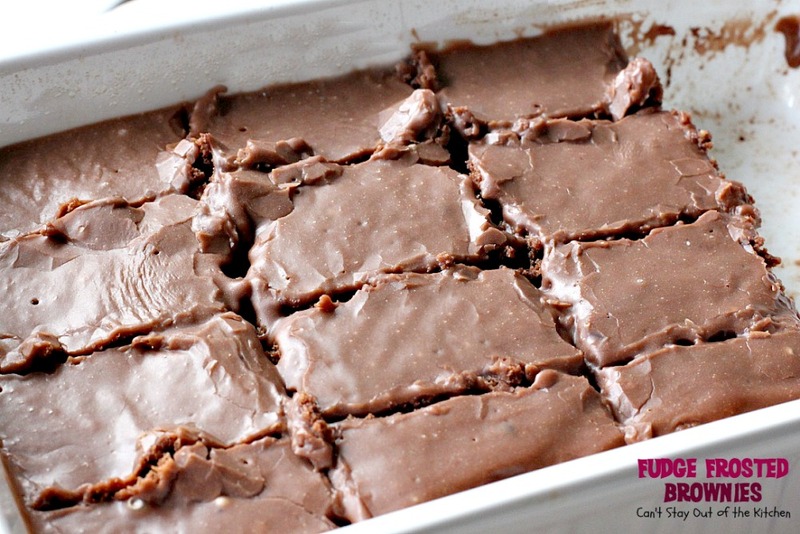 Fudge Frosted Brownies are some of the BEST brownies you’ll ever eat! They will certainly satisfy any sugar cravings! 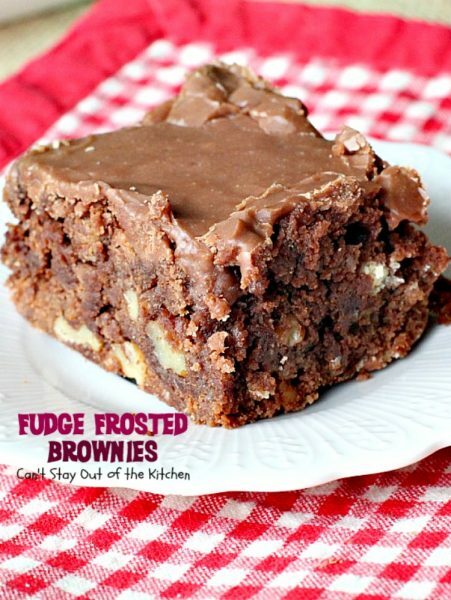 Each Brownie has a fudge icing layer on top that just adds to the decadence! 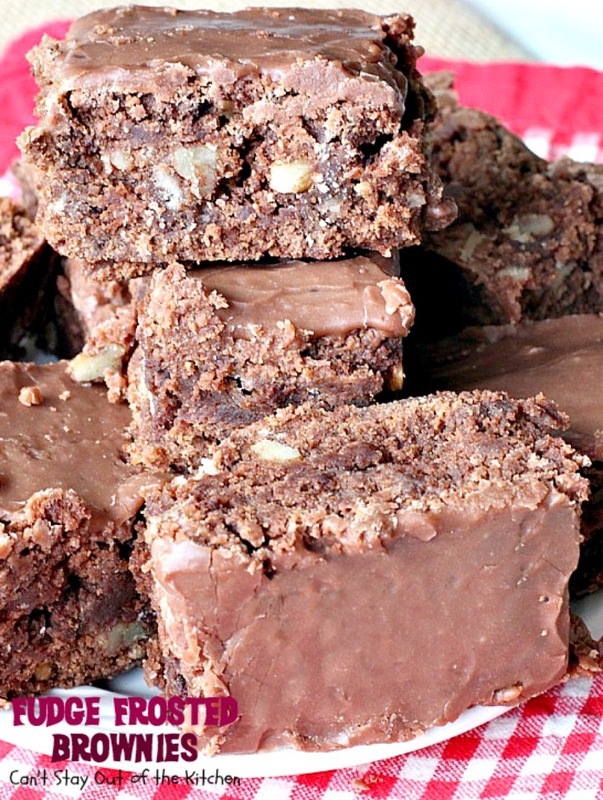 Aren’t you ready to eat one of these luscious Fudge Frosted Brownies right now? Don’t these Fudge Frosted Brownies look marvelous? Fudge Frosted Brownies have been on our Christmas Cookie baking list many, many times over the past 30 years. Melt butter. Add cocoa, sugar and eggs. Add UNBLEACHED all-purpose flour. Bleached flour toughens baked goods. Add finely diced walnuts or pecans. Spread mixture into a greased and floured 9×13″ baking dish or spray with cooking spray. Bake at 350 for about 35-40 minutes or until a toothpick inserted in center comes out clean. Cool completely. Once brownies are cool, prepare fudge frosting: Melt butter in a small saucepan. Add cocoa. Bring to a boil and remove from heat. Add powdered sugar and milk. Whisk until smooth. Mixture will be thick. Add a dash of salt and a teaspoon of vanilla. Whisk again and the mixture will be just about perfect. Spread very quickly on top of brownie layer so the fudge doesn’t harden too fast. I spread the frosting over warm brownies. If you love chocolate you will LOVE these terrific brownies. 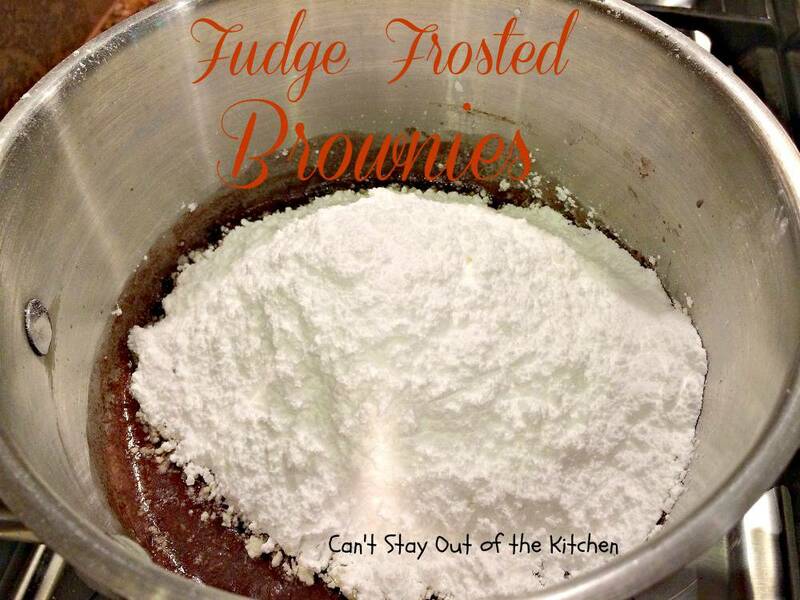 Serve Fudge Frosted Brownies for any kind of party or function and your pile of brownies will be quickly decimated! Are you salivating yet? 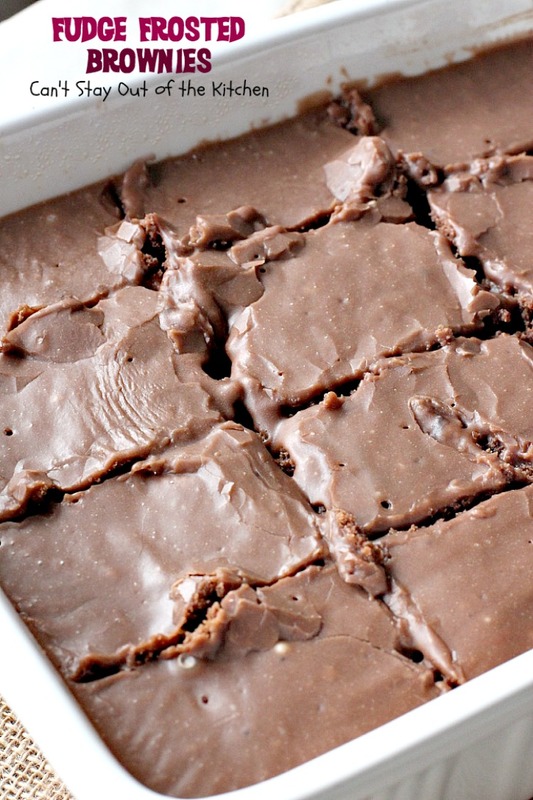 Having a layer of fudge icing on top of the brownies adds spectacular taste. 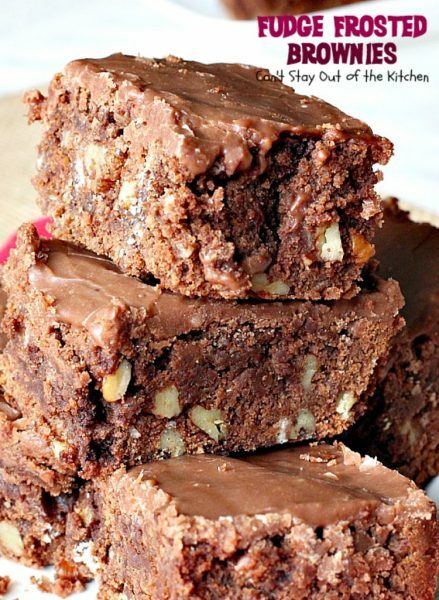 This is a rich and decadent brownie with walnuts or pecans in the batter and frosted with a scrumptious chocolate fudge icing. 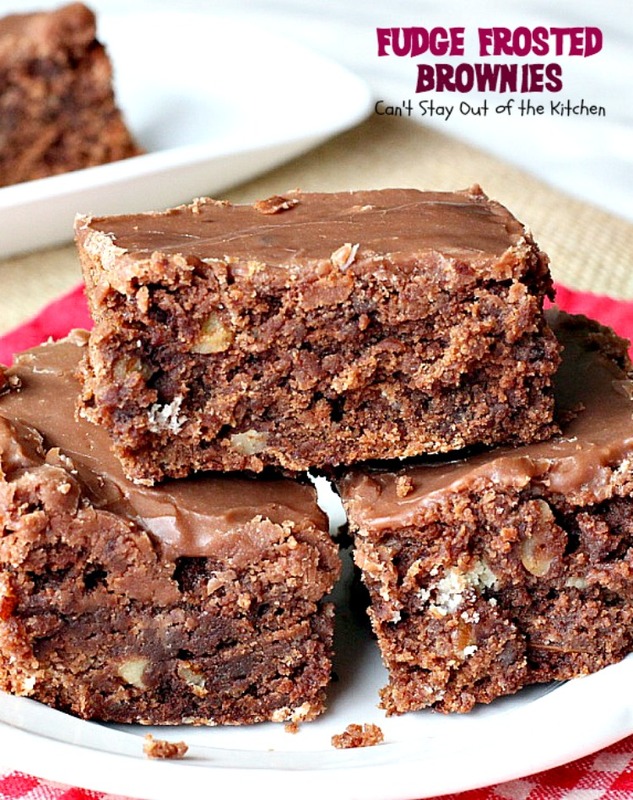 Our favorite brownies! Add cocoa, eggs and sugar and mix with an electric mixer. Grease and flour a 9x13" baking pan. Bake at 350° for 35-40 minutes until toothpick inserted in center comes out clean. Allow brownies to cool slightly. 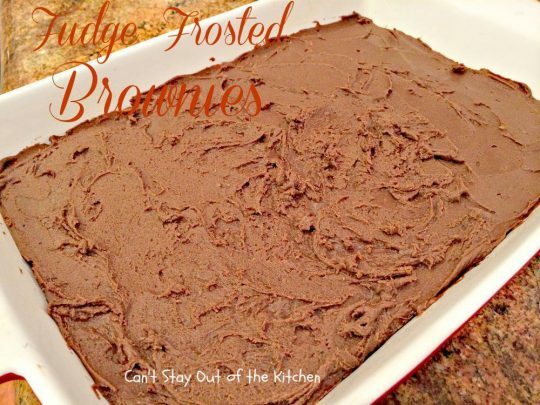 NOTE: You can also spread the frosting over the hot brownies just out of the oven. 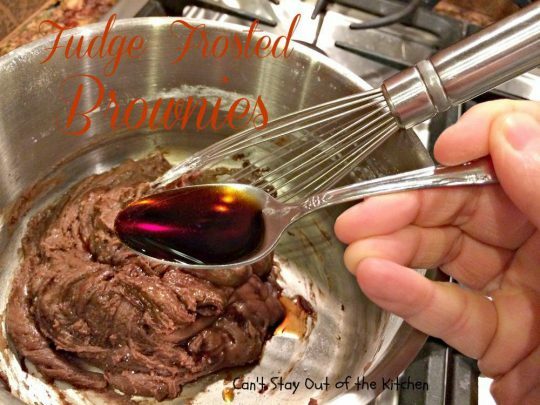 NOTE: I have had these brownies take as little as 35 minutes or as long as 50 minutes! Grease and flour a 9×13″ baking pan. Add powdered sugar and milk and whisk to combine. Mixture will be thick. 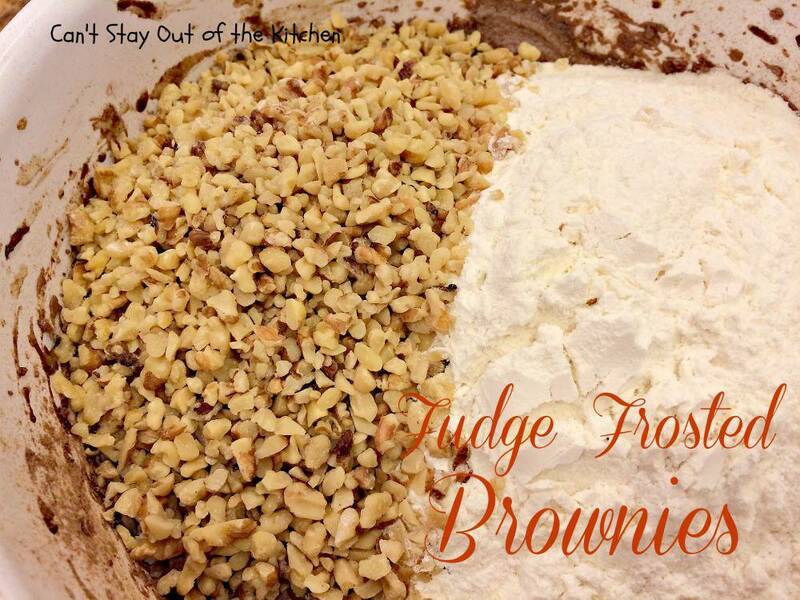 Why don’t you put Fudge Frosted Brownies on your Christmas Cookie baking list this year? You will have everyone drooling over them if you do! 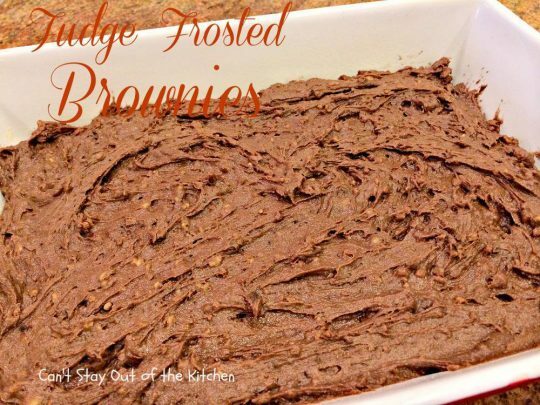 Fudge Frosted Brownies make a great dessert for any kind of potluck. I know a lot of people have nut allergies these days, but the pecans or walnuts provide a wonderful crunchy texture if you’re able to eat them. You can serve these with a dollop of ice cream on top if you desire! Yum, yum.